The fantastic adventure of the Cassini mission is coming to an end. Google’s doodle for April 26 is dedicated to the Cassini probe. A movie made of pictures from the HiRISE camera on the Mars Reconnaissance Orbiter. A must see. Universe Today: Ever wondered what final approach to Mars might feel like? You think you know the first words spoken on the moon? Watch this video. Is this important? Not sure, but I wouldn’t miss an opportunity to post interesting facts about the greatest adventure in the history of mankind. Now it sounds more interesting, right? The original transcripts of the radio communication between Earth and the Moon is available at NASA. The video is from Scott Manley’s Youtube channel and I recommend you to check it out if you’re the slightest interested in space or computer games related to space. NASA wants your help. Develop software for a virtual Robonaut 5 (R5) Valkyrie to solve problems on Mars. You can win a million dollars. NASA does a lot of research, not just in robotics, and now it will be made public. Their research is now available at PubSpace. The Vikings landed on Mars 40 years ago! 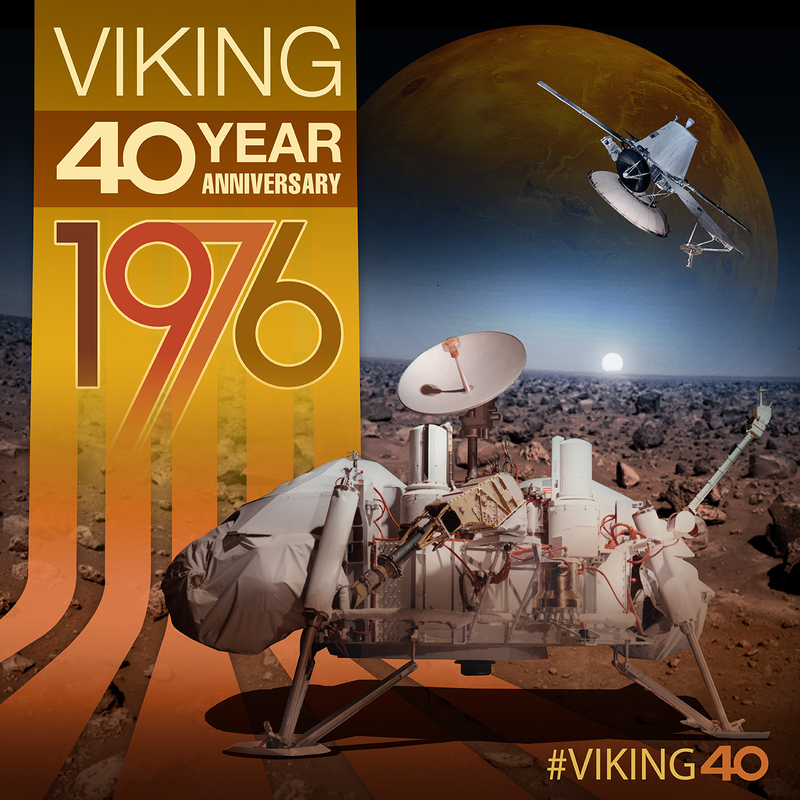 Today is the 40th anniversary of the Viking Lander on Mars! Sending an orbiter and a lander to Mars was a great achievement and NASA did it twice. It wasn’t without trouble but both the orbiters and the landers were successful! Today we take landers on Mars, and even rovers, for granted. Viking landed in a time when other missions failed. Russian Mars 3 beat Viking to Mars but only lasted a few seconds. The Viking program is one of NASA’s greatest and sparked mine and many others interest in space exploration!